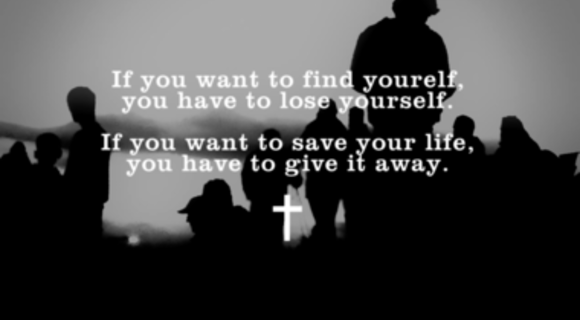 Wright comments that our culture has become “fixated” on “self-realization.” However, Jesus taught the opposite, that if you want “to find yourself you have lose yourself, if you want to save your life you have to give it away, and Jesus went and did it himself.” How has our culture become a culture of self-realization? How his Jesus’ life not about self-realization but about loosing one’s life? Wright says that the “illness that has infected the human race: rebellion, idolatry, sin, death… is a very serious disease.” However, in the modern church there has been a turn away from talking about sin, therefore turning away from “diagnosing the disease.” How are we not aware of our sickness? What in our culture keeps us from affectively diagnosing our illness? How has the church sometimes the cause of sickness instead of the cure? Wright cites Paul’s letter to the Colossians (3:5) to “Put to death, therefore, whatever in you is earthly” and gives examples of those who have “surrendered” all to Christ. However, these lives are actually the lives that are “richly fulfilled.” Why is it often difficult to “surrender” ourselves to the love of God? What might we have to loose in order for us to find ourselves?